​Enjoy our tasty, healthy, freshly-prepared food in a relaxed atmosphere. At Ontario Cafe, we offer only house-made dishes made from fresh ingredients. Nothing is fried or over-processed, and we don't use any preservatives. Sit back, relax and watch the fun from our comfortable seating area, or socialize with other parents while watching the kids play. 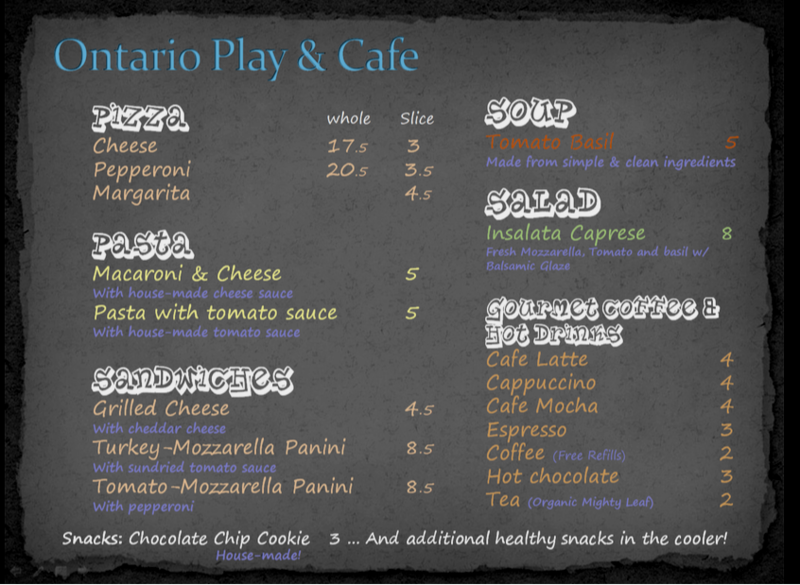 We care about kids' allergies - Ontario Play & Cafe is a nut-free facility. Please see us for any questions you might have. Availability of menu items might vary.